Professor David Collins teaches and researches in the field of international economic law specializing in the law of the World Trade Organization and international investment law. Previously, David practiced commercial litigation in Toronto, Canada and was a prosecutor for the Attorney General of Ontario. He is a Solicitor of England and Wales and is admitted to the Bars of Ontario and New York. His research has attracted funding from sources including the British Academy, the Economic and Social Research Council and the Engineering and Physical Sciences Research Council. David is a frequent commentator on televsion and radio and is a former winner of the London Court of International Arbitration's Gillis Wetter Memorial Prize. David is Co-Editor in Chief of International Trade Law and Regulation and is on the Editorial Board of the Manchester Journal of International Economic Law. In 2018, he was nominated to the roster of panelists for NAFTA Chapter 19 disputes by the government of Canada. He has been a Visiting Fellow at Georgetown University (the Institute of International Economic Law), the World Trade Institute of the University of Bern, Columbia University (Center on Sustainable Investment), Maastricht University (Institute for Globalisation and International Regulation), the University of Sydney, the University of Hong Kong (Asian Institute of International Financial Law), the University of Oslo (PluriCourts Centre) the Max Planck Institute for Comparative Public Law and International Law (Heidelberg), UC Berkeley (Center for the Study of Law and Society) and Gakushuin University (Tokyo). David is a Visiting Professor at ESADE Law School (Barcelona) and has taught at the Pericles Center for International Legal Education (Moscow), the University of Vilnius, and Keio University (Tokyo). 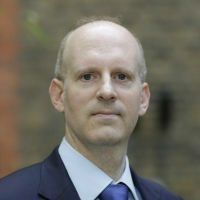 David is currently working on his sixth book: Foundations of International Economic Law to be published by Edward Elgar. He is part of a team at City working on an ESRC funded project on UK-Japan trade relations. Collins, D.A. (2018). The Public International Law of Trade in Legal Services. Cambridge University Press. Collins, D.A. (2016). An Introduction to International Investment Law. Cambridge University Press. Collins, D.A. (2015). The World Trade Organization: A Beginner's Guide. Oneworld. Collins, D.A. (2015). Performance Requirements and Investment Incentives in International Economic Law. Edward Elgar. Collins, D.A. (2013). The BRIC States and Outward Foreign Direct Investment. Oxford University Press. Collins, D.A. (2014). National Treatment in Emerging Market Investment Treaties. In Kamperman Sanders, A. (Ed. ), The Principle of National Treatment in International Economic Law Edward Elgar. Collins, D.A. (2011). A case study of coverage issues: Canada's sub-central coverage under the agreement on government procurement. In Arrowsmith, S. and Anderson, R.D. (Eds. ), The WTO Regime on Government Procurement: Challenge and Reform (pp. 175–196). Cambridge: Cambridge Univ Pr. ISBN 978-1-107-00664-5. Collins, D. Brexit and International Trade: The Aspiration of Global Britain. In Fahey, E. and Ahmed, T. (Eds. ), On Brexit: Law Justices and Injustices Edward Elgar. Collins, D. and Abe, Y. (2018). The CPTPP and Digital Trade: Embracing E-Commerce Opportunities for SMEs in Japan and Canada. Transnational Dispute Management, (December 2018). COLLINS, D. (2018). Government Procurement with Strings Attached: The Uneven Control of Offsets by the World Trade Organization and Regional Trade Agreements. Asian Journal of International Law, 8(2), pp. 301–321. doi:10.1017/s2044251316000278 . Collins, D.A. (2018). Narrative and Lyrical Elements in International Investment Agreements: Towards an Imagination-Inspired Understanding of International Legal Obligations. UC Davis Journal of International Law and Policy, 24(2), pp. 179–208. Collins, D.A. (2017). The UK should include ISDS in its post-Brexit international investment agreements. Manchester Journal of International Economic Law, 14(3), pp. 300–317. Collins, D.A. (2017). Loss Aversion Bias or Fear of Missing Out: A Behavioural Economics Analysis of Compensation in Investor-State Dispute Settlement. Journal of International Dispute Settlement, 8(3), pp. 460–482. doi:10.1093/jnlids/idw024 . Collins, D.A. and Park, T.J. (2017). Deafening Silence or Noisy Whisper: Omission Bias and Foregone Revenue under the WTO Agreement on Subsidies and Countervailing Measures. Journal of World Trade, 51(6), pp. 1069–1088. Collins, D.A. and Park, T.J. (2017). Interaction of Tax incentives and Performance Requirements in Bilateral Investment Treaties: Its Role in Implementing Right Institutions in Developing Countries. Fordham International Law Journal, 41(1), pp. 207–226. Collins, D.A., Klotz, E. and Robinson, B. (2016). Start-Ed: A Model for Commercial Clinical Legal Education. International Journal of Clinical Legal Education, 23(5), pp. 80–106. Collins, D.A. (2016). The Line of Equilibrium: Improving Investment Arbitration through the Application of the WTO General Exceptions. Arbitration International, 32(4), pp. 575–587. doi:10.1093/arbint/aiw031 . Collins, D.A. (2016). Globalized Localism: Canada's Government Procurement Commitments under CETA. Transnational Dispute Management, 2016(2), pp. 1–11. Collins, D.A. and Thomas, P. (2016). Measuring Gross Disproportion in Environmental Precaution to Establish Regulatory Expropriation and Quantum of Compensation in International Investment Arbitration. European Journal of Law and Economics, 41(3), pp. 621–639. doi:10.1007/s10657-014-9433-4 . Collins, D. (2015). Towards a Grand Unified Theory of International Economic Law. Manchester Journal of International Economic Law, 12(2), pp. 140–166. Collins, D.A. (2014). The Chaos Machine: The WTO in a Social Entropy Model of The World Trading System. Oxford Journal of Legal Studies, 34(2), pp. 353–374. Collins, D.A. (2013). ICSID Annulment Committee Appointments: Too Much Discretion to the Chairman? Journal of International Arbitration, 30(4), pp. 333–344. Collins, D.A. (2012). Alternative Dispute Settlement for Stakeholders in International Investment Law. Journal of International Economic Law, 15(2), pp. 673–700. Collins, D.A. (2012). Sustainable International Investment Law After the Pax Americana: The BOOT on the Other Foot. The Journal of World Investment & Trade, 13(3), pp. 325–348. doi:10.1163/221190012X637754 . Collins, D.A. (2011). Applying the Full Protection and Security Standard of International Investment Law to Digital Assets. Journal of World Investment & Trade, 12(2), pp. 225–244. Collins, D.A. (2010). A New Role for the WTO in International Investment Law: Public Interest in the Post Neoliberal Period. Connecticut Journal of International Law, 25(1), pp. 1–35. Collins, D.A. (2010). Environmental Impact Statements and Public Participation in International Investment Law. Manchester Journal of International Economic Law, 7(2), pp. 4–23. Collins, D.A. (2010). Settlement Agreements, Legal Information and the Mistake of Law Rule in Contract. Northern Ireland Legal Quarterly, 61(1), pp. 1–16. Collins, D.A. (2009). Health Protection at the World Trade Organization - The J-Value as a Universal Standard for Reasonableness of Regulatory Precautions. Journal of World Trade, 43(5), pp. 1071–1091. Collins, D.A. (2009). Efficient Breach, Reliance and Contract Remedies at the WTO. Journal of World Trade, 43(2), pp. 225–244. Collins, D.A. (2009). Reliance Remedies at the International Centre for the Settlement of Investment Disputes. Northwestern Journal of International Law and Business, 29(1), pp. 195–216. Collins, D.A. (2009). Canada's Prohibition of Automated Bank Machine Withdrawal Charges as a Violation of the WTO GATS. Manchester Journal of International Economic Law, 4(3), pp. 43–58. Collins, D.A. (2008). Efficient Allocation of Property Rights on the Planet Mars. Boston University Journal of Science and Technology Law, 14(2), pp. 201–219. Collins, D.A. (2008). Compulsory Arbitration Agreements in Domestic and International Consumer Contracts. King's Law Journal, 19(2), pp. 335–356. Collins, D.A. (2008). Canada's Sub-Central Coverage Under the WTO Agreement on Government Procurement. Public Procurement Law Review, 17(1), pp. 21–35. Collins, D.A. (2006). Fair Trade City Subsidization and WTO Agreement Violation. Manchester Journal of International Economic Law, 3(2), pp. 67–81. Collins, D.A. (2006). Institutionalized Fact Finding at the WTO. University of Pennsylvania Journal of International Economic Law, 27, pp. 367–387. Collins, D.A. (2005). Public Funding of Class Actions and the Experience with English Group Proceedings. Manitoba Law Journal, 31, pp. 211–238. Collins, D.A. (2002). Spies Like Them: The Canadian Security Intelligence Service and Its Place in World Intelligence. The Sydney Law Review, 24, pp. 505–528. Collins, D.A. (2002). Age of the Living Dead: Personality Rights of Deceased Celebrities. Alberta Law Review, 39, pp. 914–933. Collins, D. The International Bar Association and Trade in Legal Services: Meta Law-Making in International Economic Law? Indian Journal of International Economic Law, 11. Collins, D.A. (2018). Brexit and Beyond: The Legal Framework for UK-EU and Global Trade. London: Politeia. Collins, D.A. and Bardle, S. (2018). E-Commerce Strategies for London's Creative Sector. London. Collins, D.A. and Klotz, E. (2018). GDPR and E-Commerce..
Collins, D.A. (2017). Negotiating Brexit: The Legal Basis for EU & Global Trade. London: Politeia. Collins, D.A. (2019). Book Review: Proportionality, Reasonableness and Standards of Review in International Investment Law and Arbitration by Valentina Vadi. Collins, D.A. (2018). Book Review: A Guide to State Succession in International Investment Law by Patrick Dumberry. Collins, D. (2018). Review of 2018 ICSID Awards. Collins, D.A. (2017). Book Review: International Law Theories by Andrea Bianchi. Collins, D.A. (2017). Review of 2017 ICSID Decisions. Collins, D.A. (2016). Book Review: Proportionality and Deference in Investor-State Arbitration by Caroline Henckels. Collins, D.A. (2016). Review of 2016 ICSID Decisions. Collins, D. (2015). Review of 2015 ICSID Decisions. Collins, D. (2015). Book Review: Oxford Handbook of Behavioral Economics and the Law by A Zamir and D Teichman eds. Collins, D.A. (2014). Book Review: Doing Business in the BRICS by R Nath ed. Collins, D. (2014). Review of 2014 ICSID Decisions. Collins, D.A. (2013). Book Review: Development at the WTO by Sonia E Rolland. Collins, D.A. (2013). Review of 2013 ICSID Decisions. Collins, D.A. (2012). Book Review: The Public International Law Regime Governing International Investment by Jose Alvarez. Collins, D.A. (2012). Book Review: World Trade Law After Neoliberalism by Andrew Lang. Collins, D.A. (2012). Review of 2012 ICSID Decisions. Collins, D.A. (2011). Book Review: The Effect of Treaties on Foreign Direct Investment by K Sauvant and L Sachs eds. Collins, D.A. (2011). Book Review: Foreign Direct Investments from Emerging Markets by K Sauvant ed. Collins, D.A. (2011). Review of 2011 ICSID Decisions. Collins, D.A. (2010). Book Review: International Economic Law, Second Edition by Andreas Lowenfeld. Collins, D.A. (2010). Book Review: Economics of the Law: A Primer by Wolfgang Weigel. Collins, D.A. (2010). Book Review: State Responsibility in Investment Treaty Arbitration: Global Constitutional and Administrative Law in the BIT Generation by Santiago Montt. Collins, D.A. (2010). Book Review: Socially Responsible Investment Law: Regulating the Unseen Polluters by Benjamin Richardson. Collins, D.A. (2010). Review of 2010 ICSID Decisions. Collins, D.A. (2009). Book Review: International Economic Law: The State and Future of the Discipline by C Picker, I Bunn, D Arner eds. Collins, D.A. (2009). Book Review: Constitutionalizing Economic Globalization: Investment Rules and Democracy’s Promise by David Schneiderman. Collins, D.A. (2009). Book Review: Principles of International Investment Law by Rudolf Dolzer and Christoph Schreuer. Collins, D.A. (2009). Review of 2009 ICSID Decisions. Collins, D. (2009). Book Review: Boilerplate: The Foundation of Market Contracts by O Ben-Shahar ed. Collins, D.A. (2008). Book Review: Financial Stability, Economic Growth and the Role of Law by Douglas W Arner. Collins, D.A. (2008). Book Review: Human Rights and the WTO. The Case of Patents and Access to Medicines by Holger P Hestermeyer. Collins, D.A. (2008). Book Review: The World Trade Organization: Law, Economics and Politics by Bernard M Hoekman and Petros C Mavroidis. Collins, D.A. (2008). Book Review: International Economic Law and the Digital Divide: A New Silk Road? by Rohan Kariyawasam. Collins, D.A. (2008). Review of 2008 ICSID Decisions. Collins, D.A. (2007). Book Review, Cultural Products and the World Trade Organization by Tania Voon. Collins, D.A. (2006). Recent Developments in Tobacco Class Action Litigation from the Ontario Superior Court of Justice. Collins, D.A. (2006). Review of 2006 ICSID Decisions. Collins, D. Some Thoughts on Claims for Reflexive Loss in Investor-State Dispute Settlement. International Trade Law and Regulation, Co-Editor in Chief, Mar 2018 – present. Manchester Journal of International Law, Board of Editors, 2010 – present.